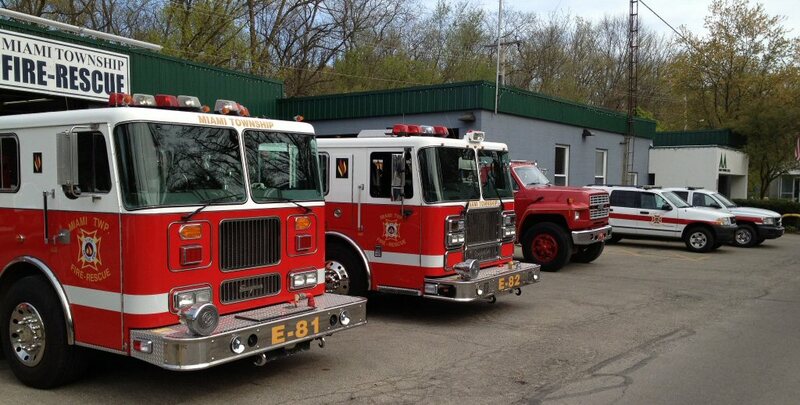 Miami Township Fire-Rescue | ??????? Miami Township Fire-Rescue is currently accepting applications for the part-time Firefighter/EMTs (all levels). These positions will be used to staff the department during weekday and weekend-day hours and will work regularly scheduled 8 and/or 12 hour shifts. Applicants for the position of Firefighter/EMT must possess Ohio certification as an Emergency Medical Technician, Advanced or Paramedic as well as Level 1 Firefighter. Applicants must be at least twenty years old, possess a high school diploma or GED and a valid Ohio driver’s license with an MVR acceptable to our insurer. A urine drug screen and thorough background check is required of all applicants. MTFR is a tobacco-free and drug-free employer. This is a part-time, non-exempt hourly position that provides emergency medical, fire suppression, prevention and rescue services to the community. In addition, this position performs apparatus and equipment readiness checks and maintains the fire stations and other related facilities as required. A high degree of self direction and motivation is needed. MTFR is a volunteer department supplemented by 3 career staff and multiple part-time positions. Our paid personnel exist to augment, not replace our volunteers. Experience with a volunteer department is highly desirable. Applications may be picked up at Fire Station 81 on Corry Street in Yellow Springs or downloaded from our website below. Applications must be fully completed and returned to the Fire Chief no later than 5 PM on Friday, June 14th. Miami Township Fire-Rescue is an equal opportunity employer and does not discriminate on the grounds of race, religion, gender, sexual orientation, ancestry, national origin, age, or physical disability. Accordingly, any applicant seeking accommodation under the Americans with Disabilities Act must submit a request for accommodation with their application. Miami Township Fire-Rescue is always looking for keen new members to join our ranks of volunteers. It's a great way to help your community with a much needed service. You can choose between being trained as an Emergency Medical Technician (EMT), Firefighter or both. The Department pays for all training and uniforms and are covered by health care and workers compensation insurance relating to your service with the MTFR.